Often the difference between having the best view in the whole neighborhood. It is essential that each individual plant and its watering needs be accounted for when putting together a landscape design. When all of these are used in unison it creates a resort like landscape oasis. Climate is a huge factor when selecting plant materials. For the Roseville Rocklin and Lincoln areas plants need to be able to survive the heat waves of the Sacramento Valley area and the frequent freezes throughout the winter in Placer County. Trees should be thought of as the anchors of your landscape. The large objects that hold your landscape all together. Trees should be used as focal points, points of interest, shade, privacy and to soften the backdrop of surrounding fences and walls. 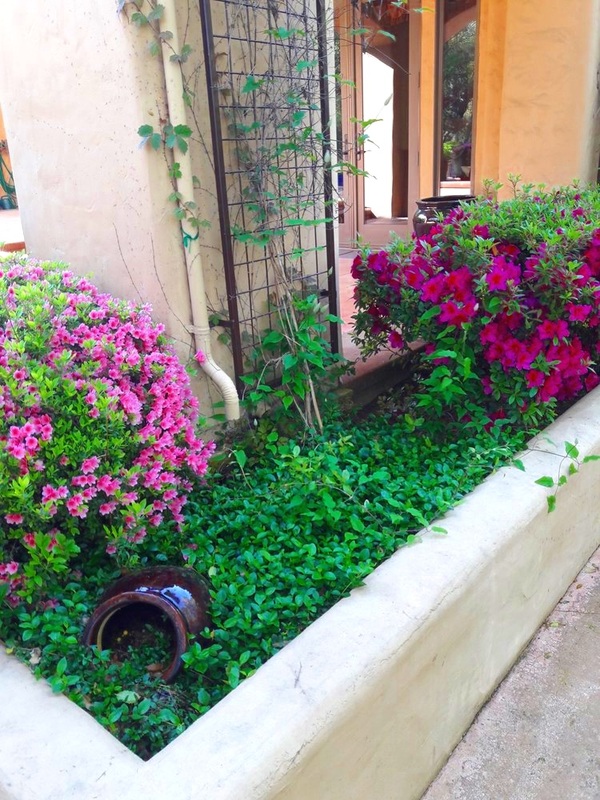 Plants bring color and character to your yard. Whether you are in Rocklin or Folsom we have recommendations to make your front yard and or backyard flourish. We can create a myriad of different themes for your landscape all through plant selection. These are some of the more popular themes, however we would love to hear from you should you have anything different in mind. Please give us a call to explain your individual needs, we are here to listen. All of the above irrigation systems have their own benefits and different requirements. If is essential to find a professional who can assist with determining which system is best for your specific applications. If you need help determining what products or solutions will work best for your backyard please don’t hesitate to reach out. We are more than happy to answer any questions you may have regarding your irrigation system.